Hits like Treasured Soul, Nobody Does It Better and Thorns have helped create a lot of those nostalgic moments for people. They have garnered chart positions, millions upon millions of streams and helped to make Michael one of the most sought-after DJs around. His touring schedule confirms this, with appearances at almost every major music festival and DJ sets at the most incredible clubs around the world. And yet this French superstar manages to keep a clear head and his feet firmly on the ground. Michael’s outlook is all about taking time to connect with his fans, enjoy his hobbies of skating, photography, art and fashion, all while travelling the globe and sampling everything the local culture has to offer. “I am blessed to travel the world and to play music to all kinds of people. Bringing people together and having a shared experience with them is amazing. I don’t drink or take drugs, for me this is enough of a high. And when I’m not performing I just do normal things. I skate, I eat good food, I take in as much culture as I can.” It’s a refreshing attitude from someone who got caught up in music when he was just fifteen; especially for an artist who has now racked up a catalogue of hits alongside official remixes for the likes of Duke Dumont, The Magician and Major Lazer. The start of the New Year marks a return to the dance scene with a blistering new sound, the urban infused single ‘On You’. 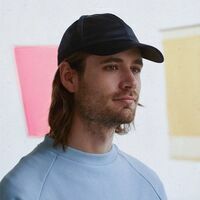 A year and half in the making, Michael took inspiration from some of his earliest musical influences of hip-hop and created a distinctly ‘Housier’ sound. “I would say the sound of my new single is Urban House. It has a little bit of House Music and a little bit of Urban influence. I am trying to be more experimental in my production and there is a lot more maturity in my sound.” Indeed, the single marks a development in Michael’s sound, showcasing smooth RnB vocals reminiscent of his previous works. ‘On You’ displays his power to crossover from the mainstream to the underground, exhibiting his dedication to create a fresh musical output for 2018. A true creative, Michael Calfan has made an incredible impact on the world of house music, going as far as coining his own sub-genre, Soul House. But for him the key is to keep moving forward: “I don’t only make dance music. I produce pop, sometimes hip-hop, sometimes disco. It gives me a lot of freedom.” That’s an outlook that stands this incredible artist in good stead. As the world of dance music pushes forward at a terrifying rate, Michael Calfan simply takes it in his stride.